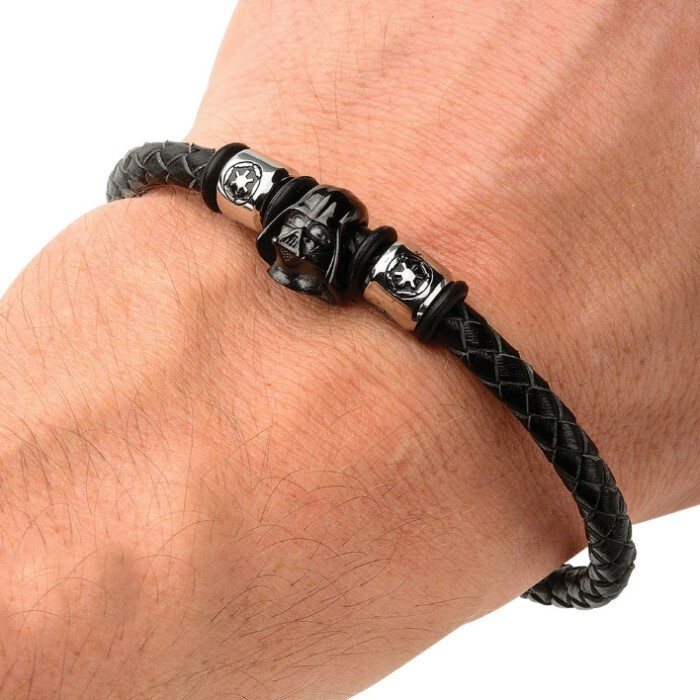 Star Wars Darth Vader Bracelet Black | BUDK.com - Knives & Swords At The Lowest Prices! Have you gone over to the Dark Side? Is the Dark Lord your hero? Show everyone where your alliance lies by wearing this great collectible. 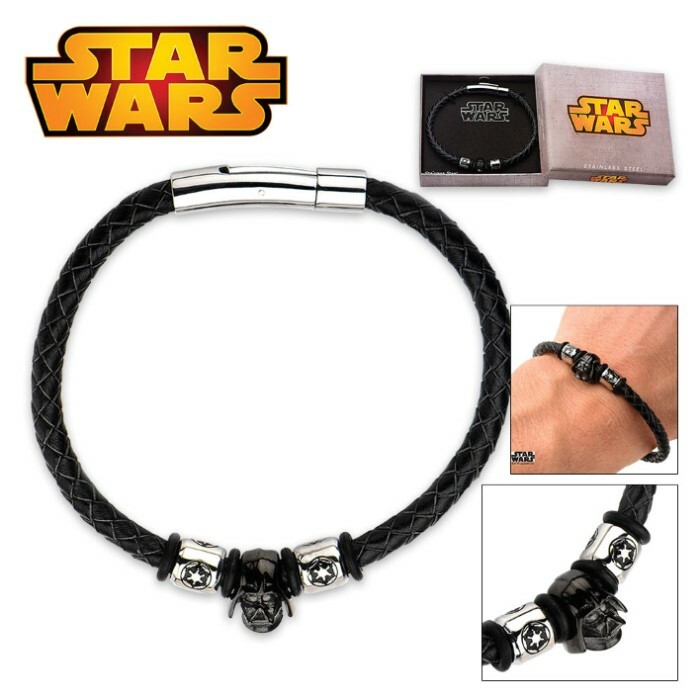 The bracelet has a stainless steel Darth Vader helmet and Galactic Empire symbol beads on a black, braided leather band. 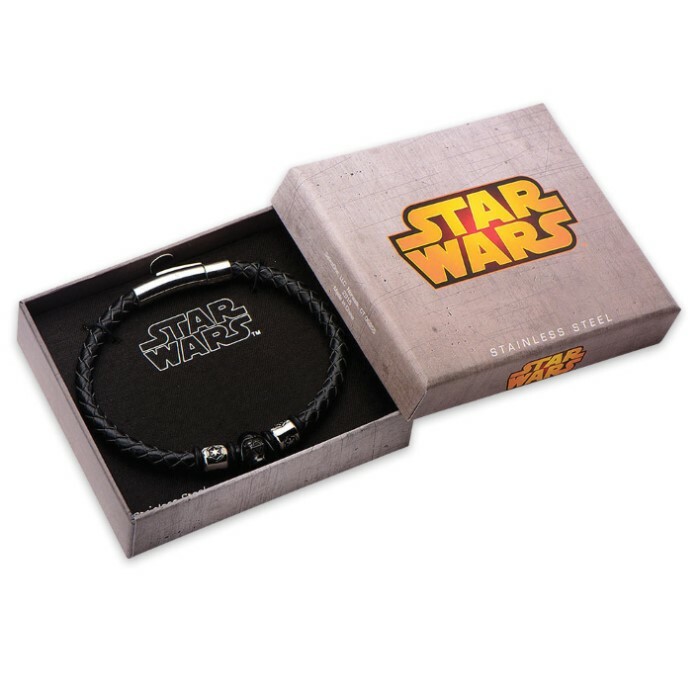 This intricately detailed bracelet comes in a box with the official Star Wars logo. It is 8 3/4” in length. This is an officially licensed product.